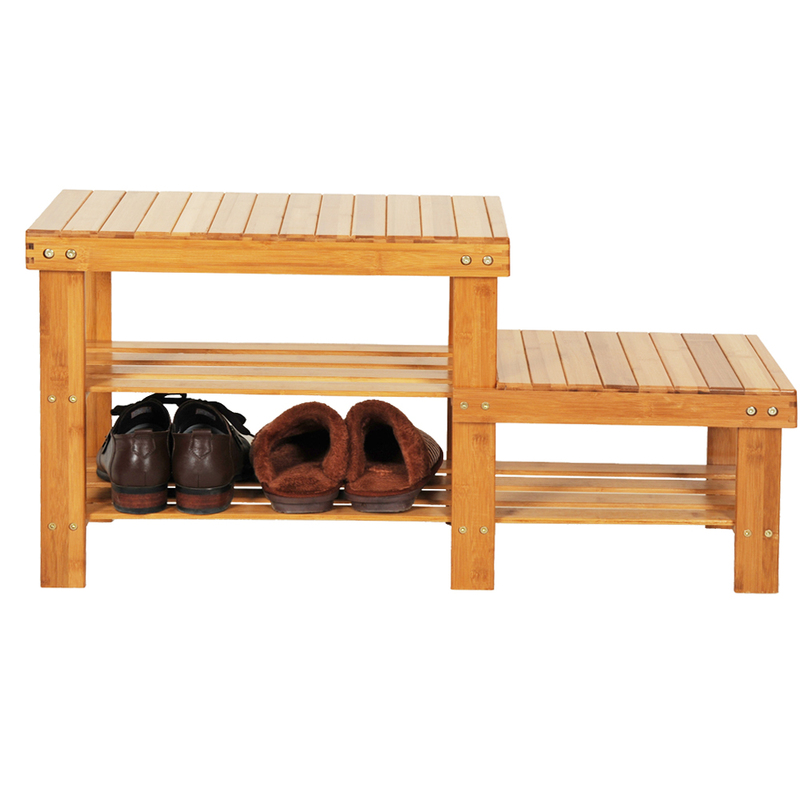 Due to its user-friendly design with different heights, this shoe rack is suitable for both adults and kids. As a shoe rack, it is designed into tiers for storage in order. 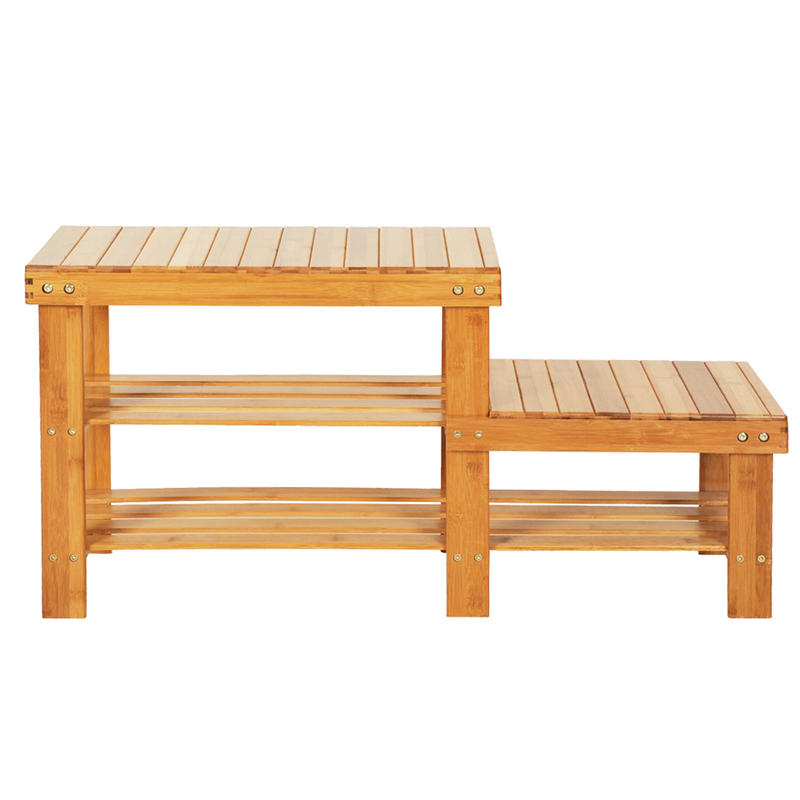 In addition to its shoe rack function, it is also a nice stool for you to conveniently wear or take off your shoes. 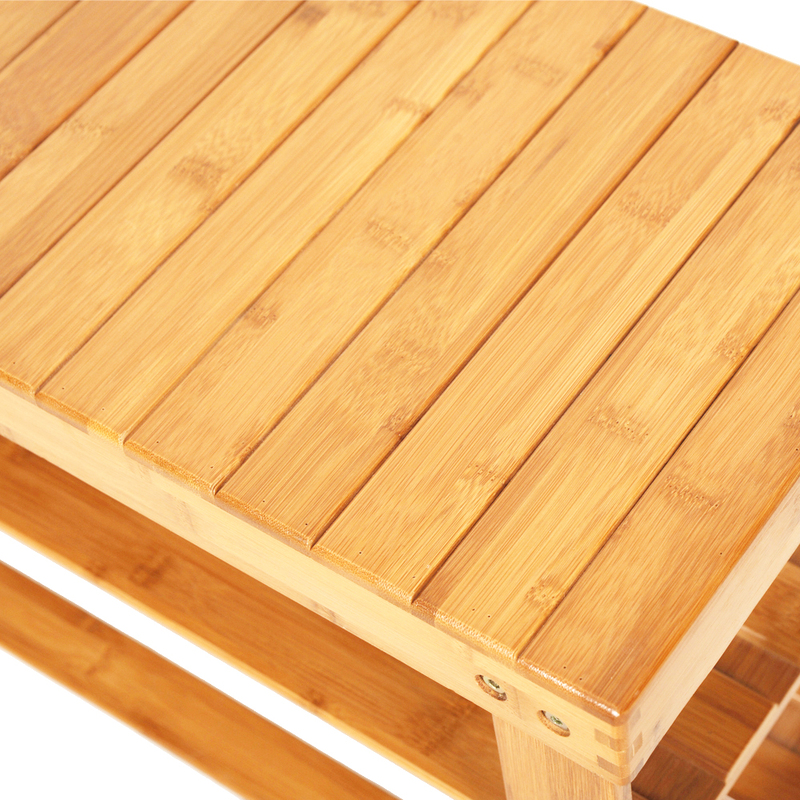 Adopting superior bamboo material and with fine workmanship, it is solid and durable to use. It is a compact item, which won't occupy much space!